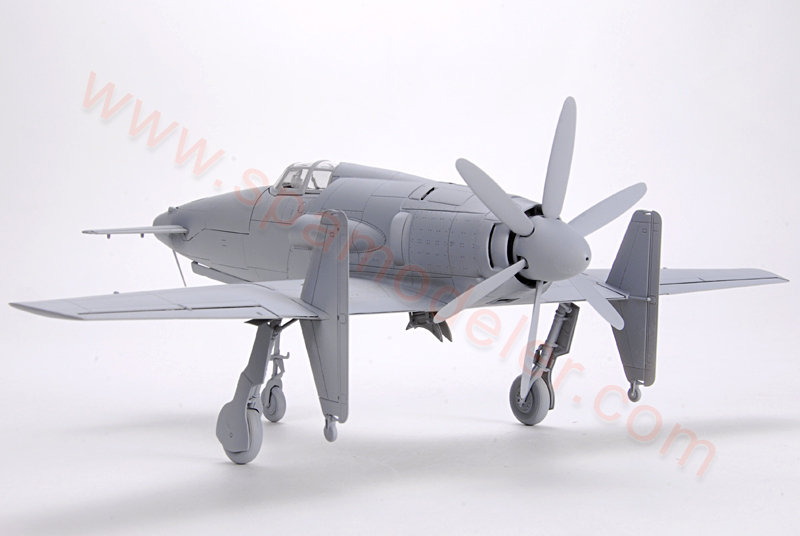 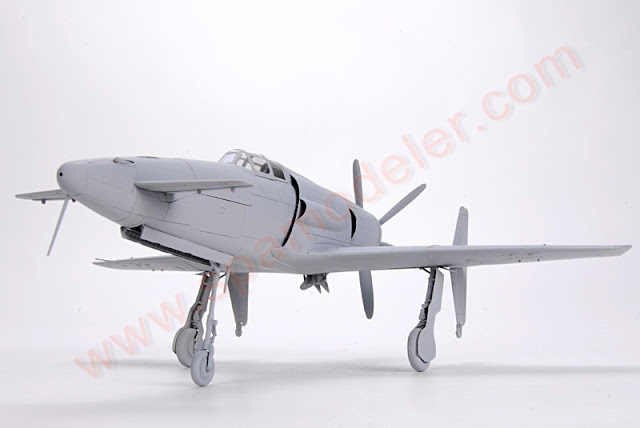 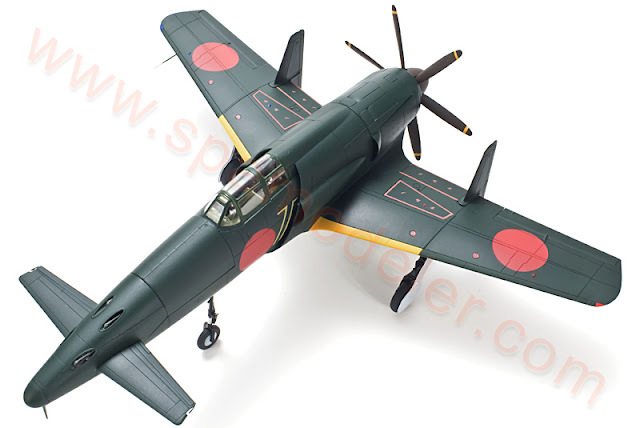 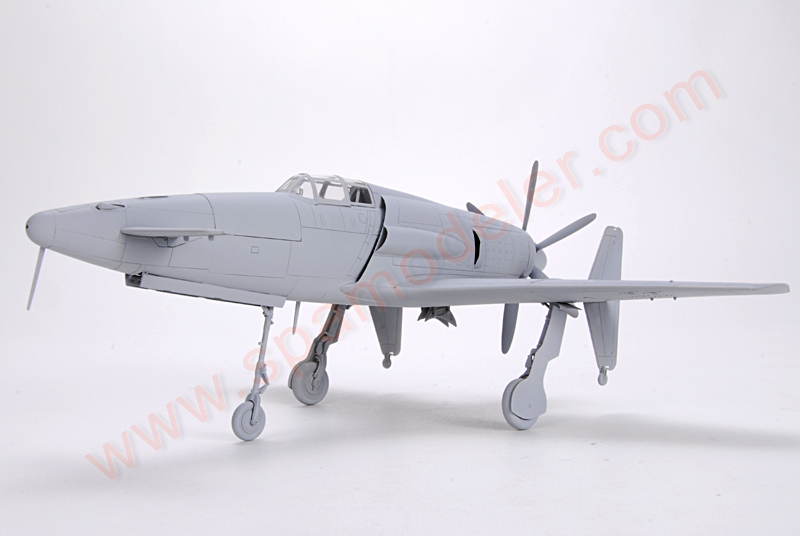 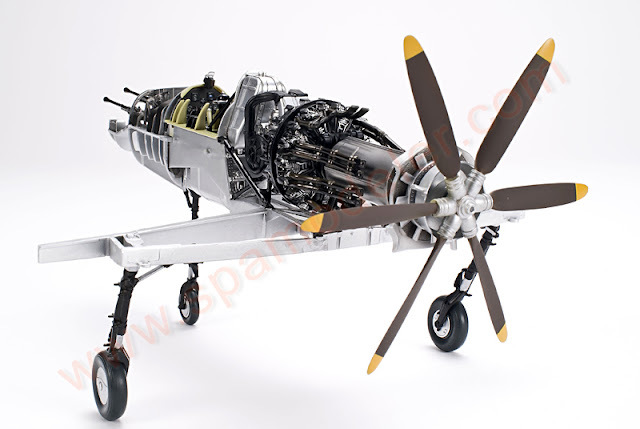 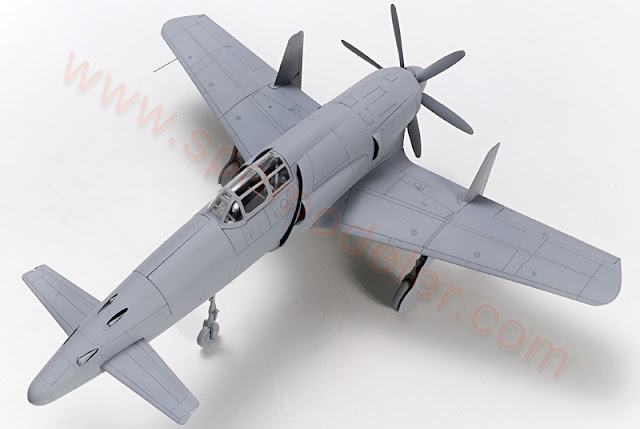 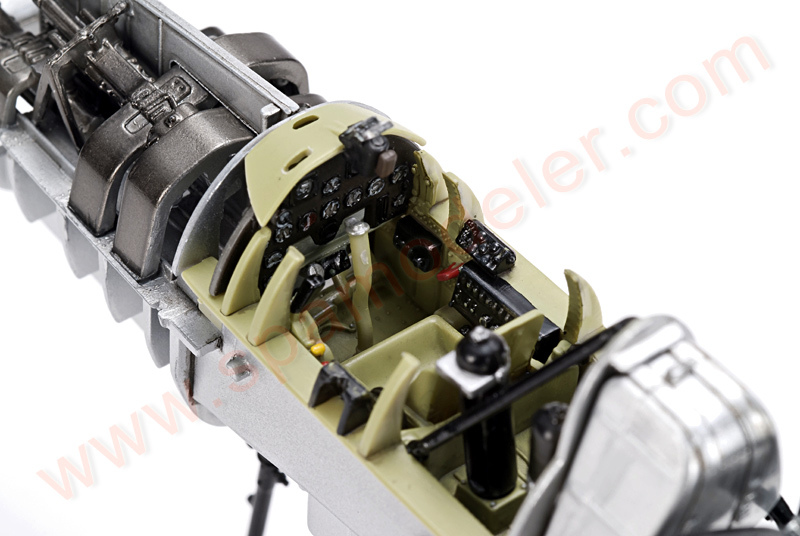 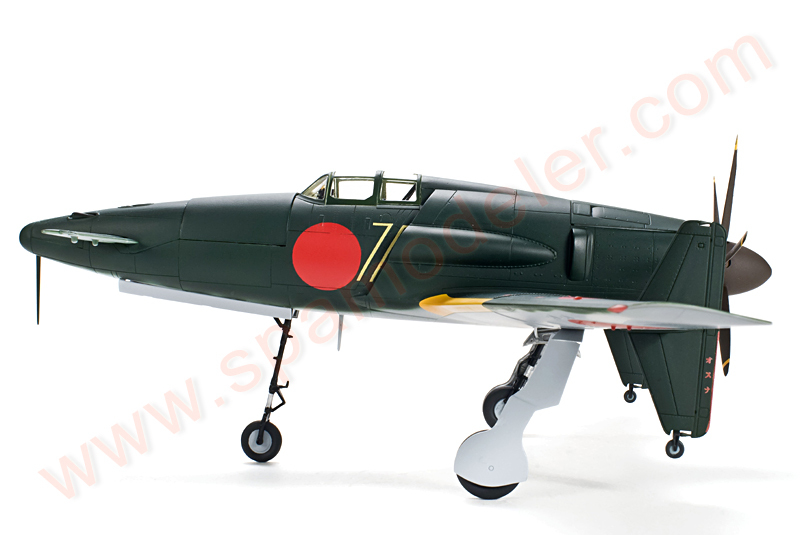 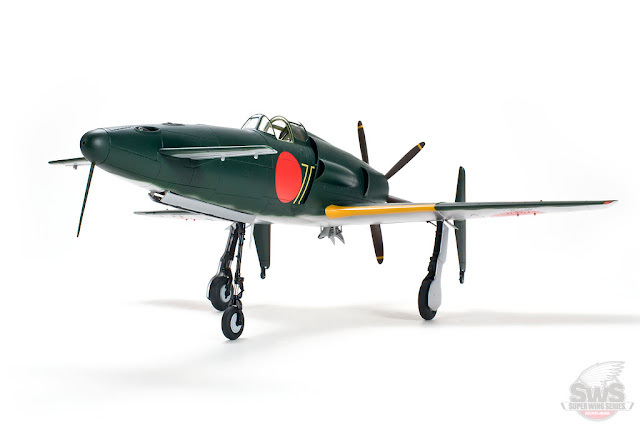 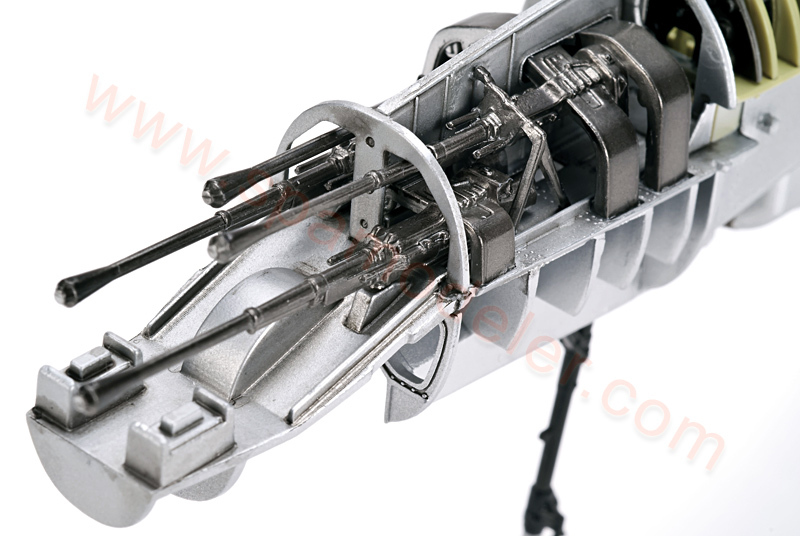 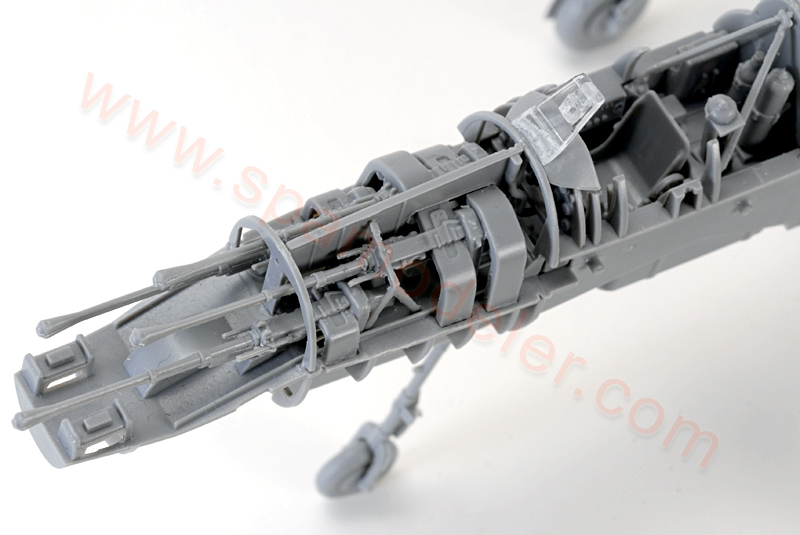 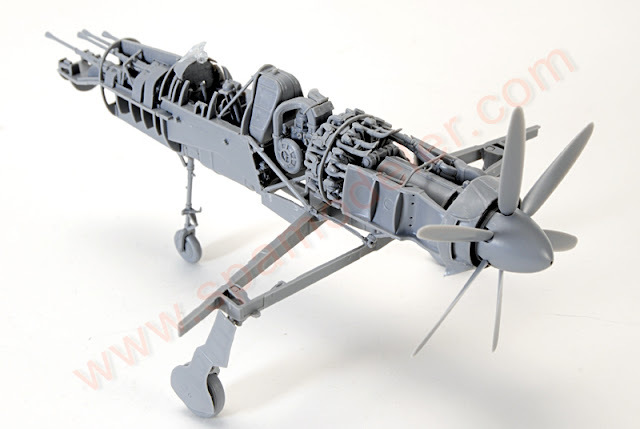 We have some in depth previews of the new Zoukei Mura 1/48th Shinden from our friends at the Scale Plastic Aircraft Modeller forum which we think you will all be interested in. 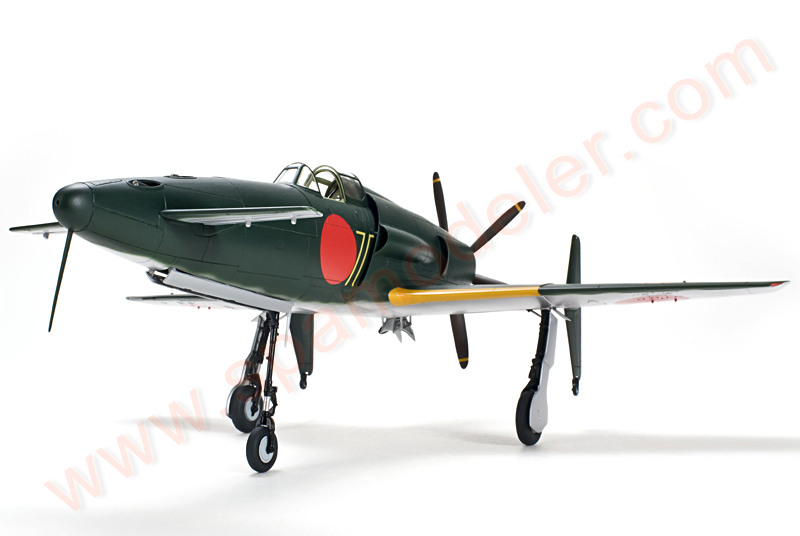 On top of the shots we recently brought you ourselves we have some extra shots exclusive to the forum that we thought you would like to see of this scaled down superfighter from Nippon.. 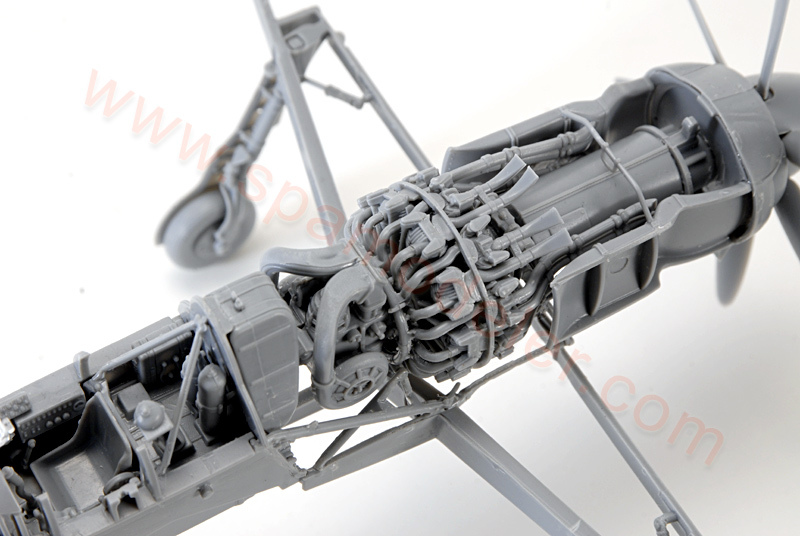 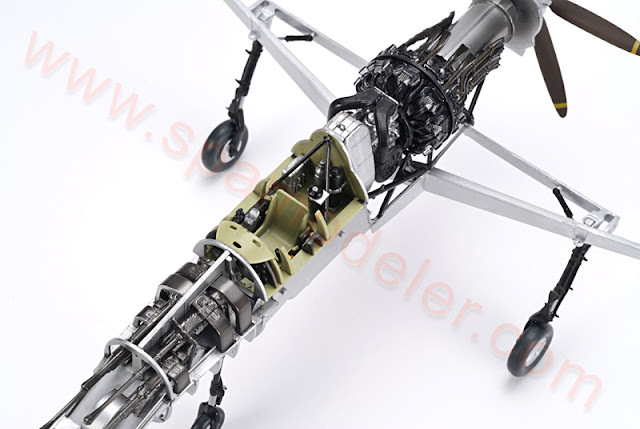 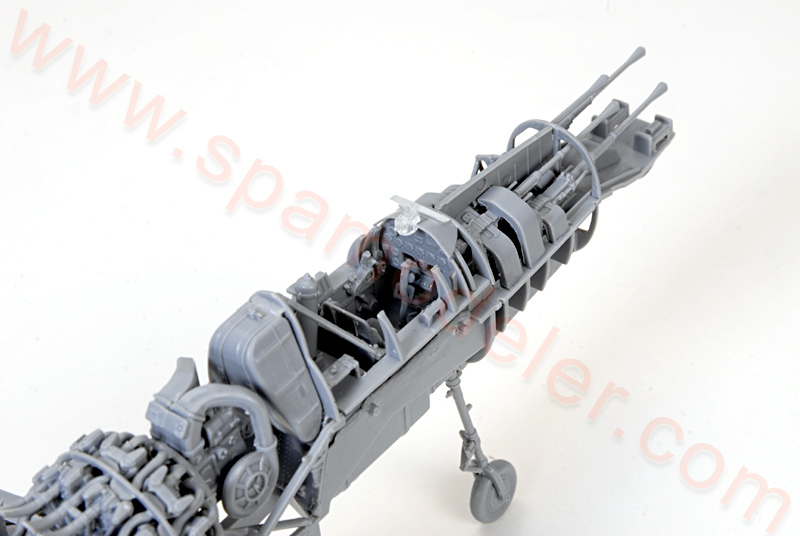 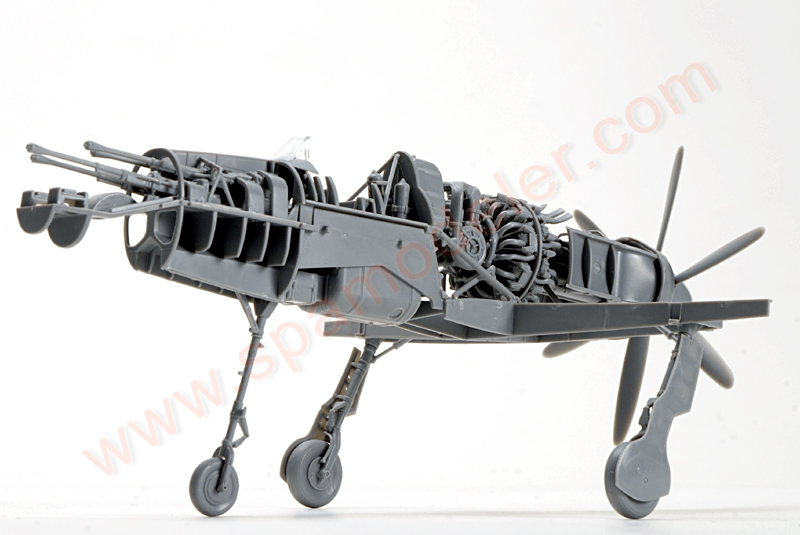 Yesterday Zoukei-mura sent these some pictures to Scale Plastic Aircraft Modeler forum and they asked us if we wanted to show you – we thought they would be interesting to modellers in all of it’s incarnations, as a skeleton unpainted and then with paint, primed and ready to go and then fully built and painted up. 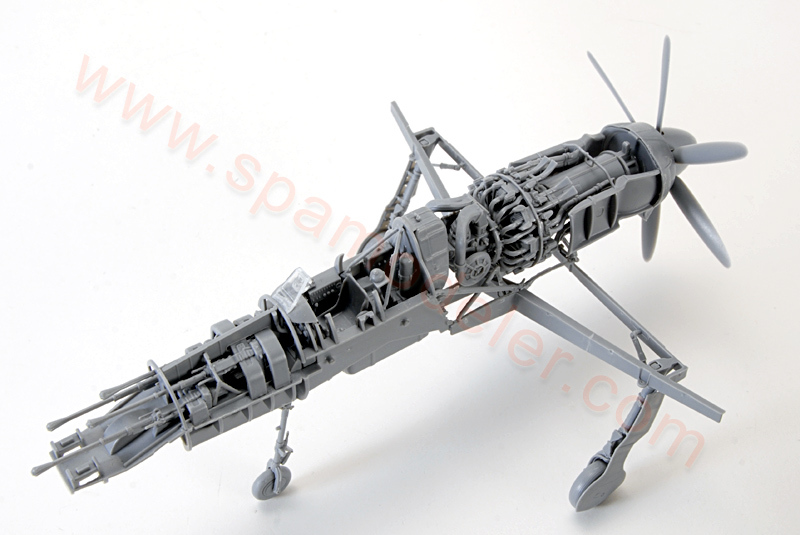 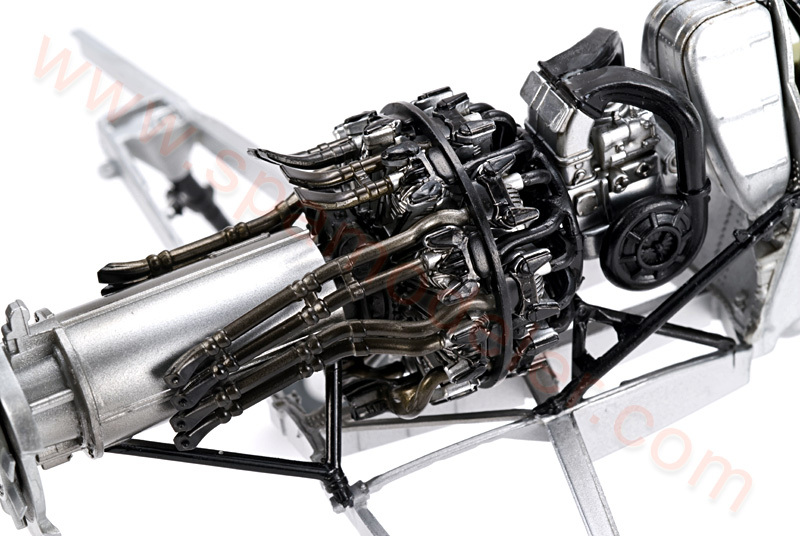 Here model primed in grey colour it almost looks like an animated CAD drawing doesn’t it? 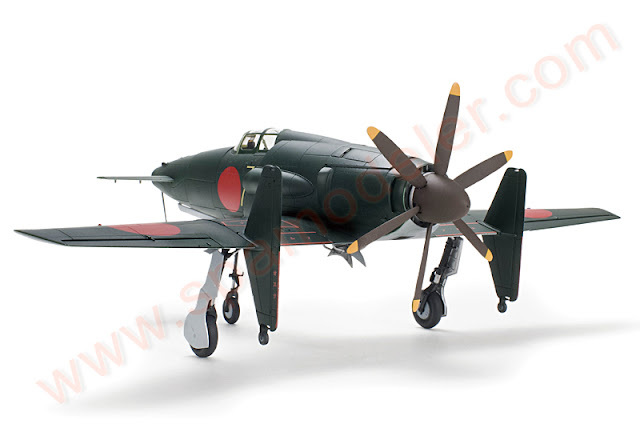 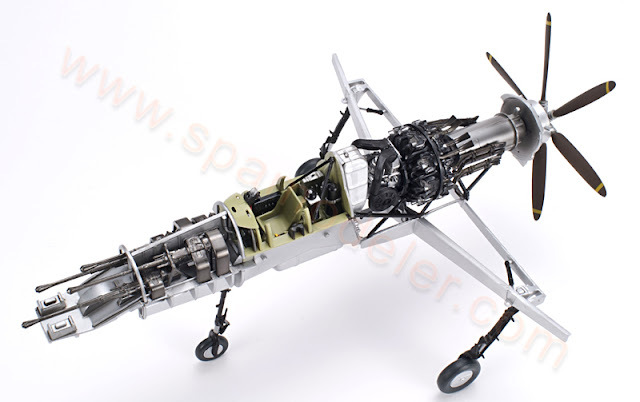 So there is the fully built and painted model of Zoukei-mura´s realisation of this iconic and futuristic Japanese fighter, build and flown at the end of WWII!